Setting out from the town of Karratha, we embark on a short drive towards Dampier en-route to the Burrup Peninsula where Western Australia’s 100th national park is located. 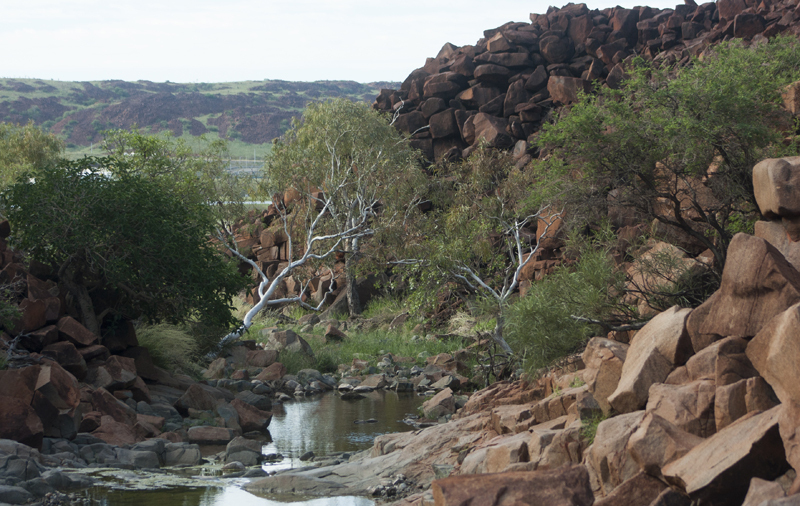 Murujuga National Park was created a couple of years ago under a unique partnership between the government and traditional custodians – Ngarluma-Yindjibarndi, the Yaburara-Mardudhunera and the Woon-goo-tt-oo. 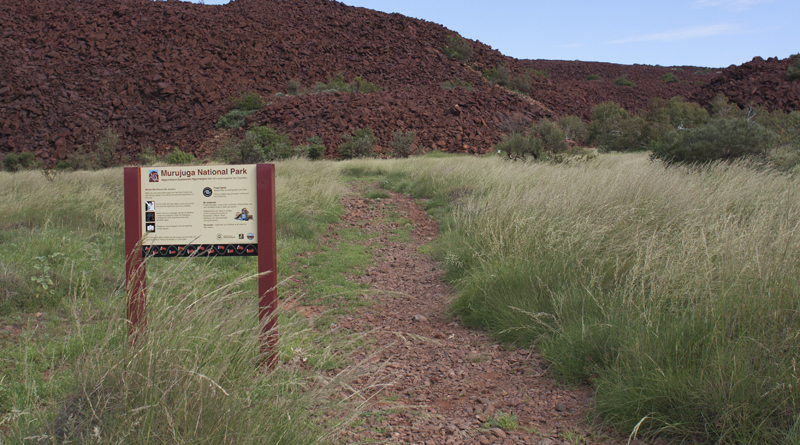 Just before Hearson’s Cove, we take an unsealed road to an area that the ladies at the Karratha visitor centre recommended visiting, Deep Gorge. 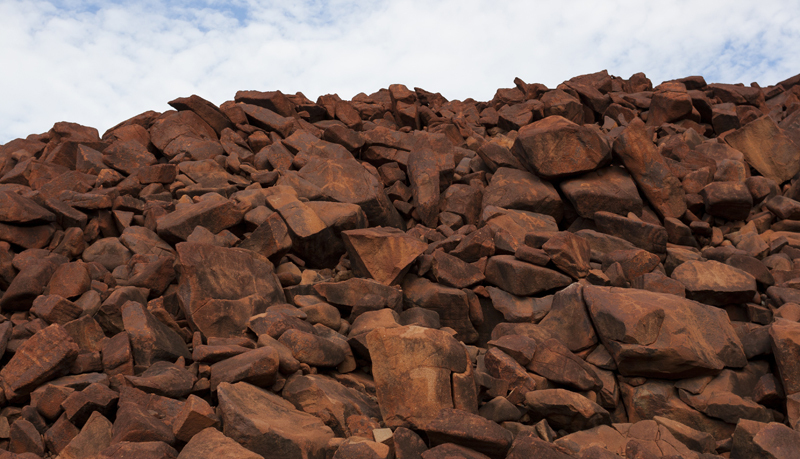 As we walk towards the gorge, the scale of what appears to be piles of boulders forming large hills is an unusual sight to see. One of the incredible aspects about the scene in front of us, is it’s natural occurrence, formed through erosion and weathering over a long period of time. 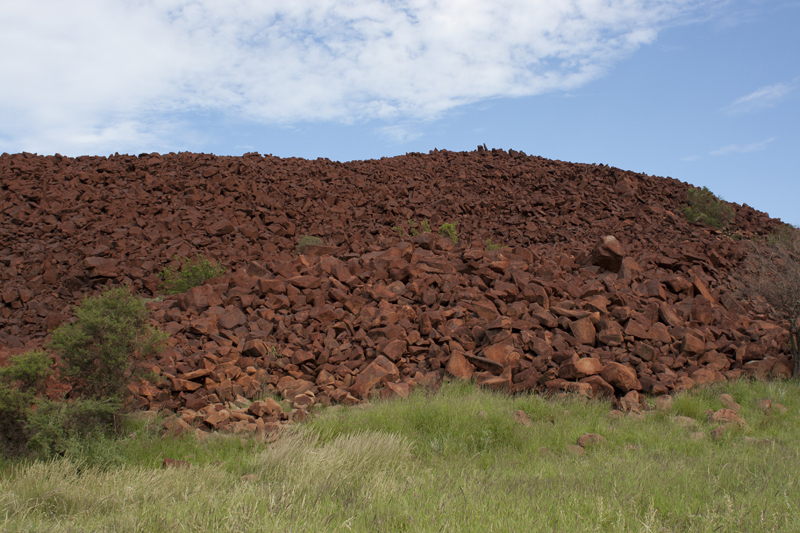 Books have been written on the diverse geology of this area and a lot of the details seem to go over my head, however, as we explore the Pilbara I’m interested to learn about the Pilbara Craton, one of earth’s earliest continents, before the West Australian craton was formed. As there is no marked trail to follow, we step on and over rocks, cross the presently low creek line level, duck under cobwebs venturing further into the gorge. It’s fairly easy navigating our way in and out, though it’s a battle between wanting to look up at the wonderful scenery as well as maintaining sure footing on the terrain we are treading. Care needs to be taken because as expected, the path we take is rocky and loose. The journey slows down, we stop frequently to appreciate the scenery. A summer season of plenty of rainfall has transformed sections of the gorge into a green oasis. 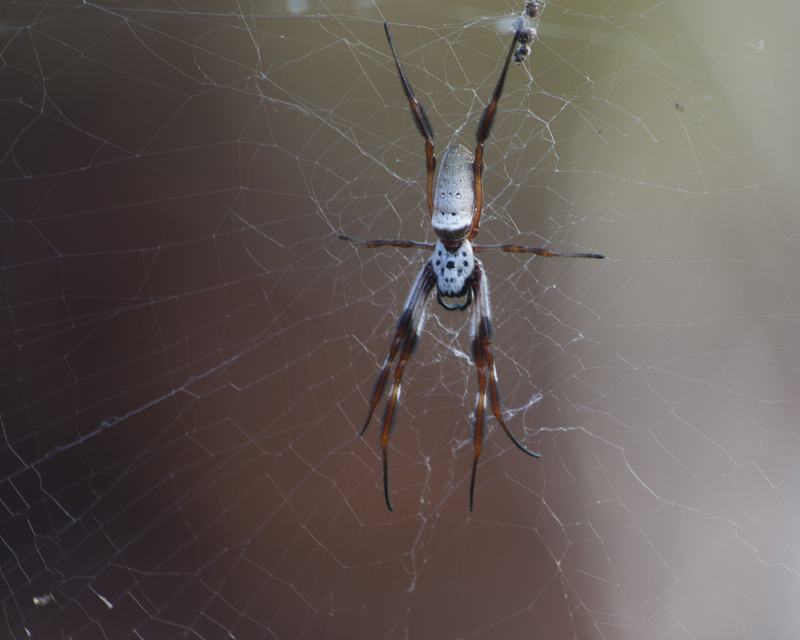 We come across a rather large but docile spider that doesn’t seem bothered by our close encounter. The spiders are a lot bigger than back at home. What makes this area culturally significant is the rock art throughout, something like 10,000 rock art engravings can be found scattered in the vicinity with even more further a field from the gorge. Also known as petroglyphs, images were carved into the rock surface beginning at a time long before writing progressed in the world. 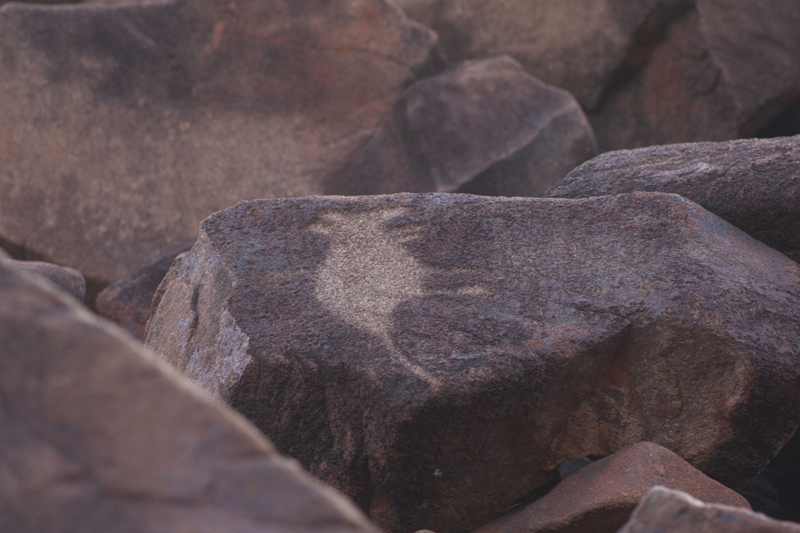 At Deep Gorge, the rock art links to life of the local aboriginal people. 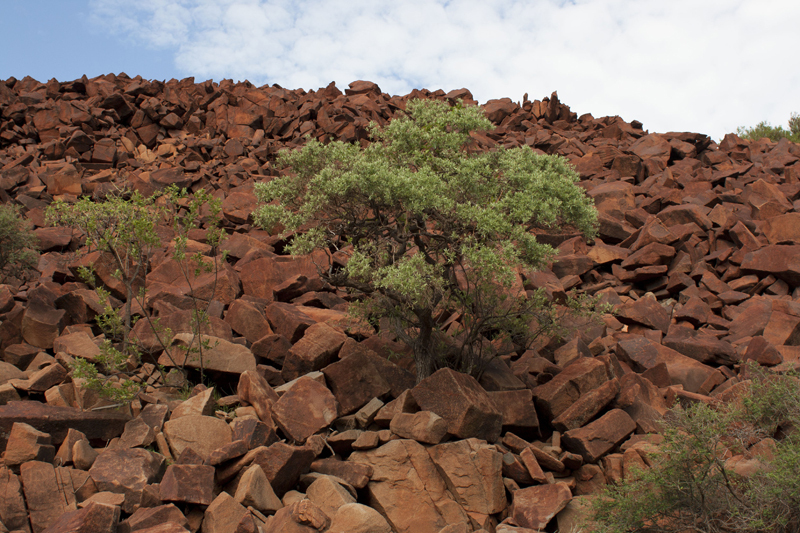 Trees have found a home within this rugged landscape and quite different to the scene in the Karratha hills we visited a couple of weeks ago. We spot two pairs of Brahminy Kites circling above. 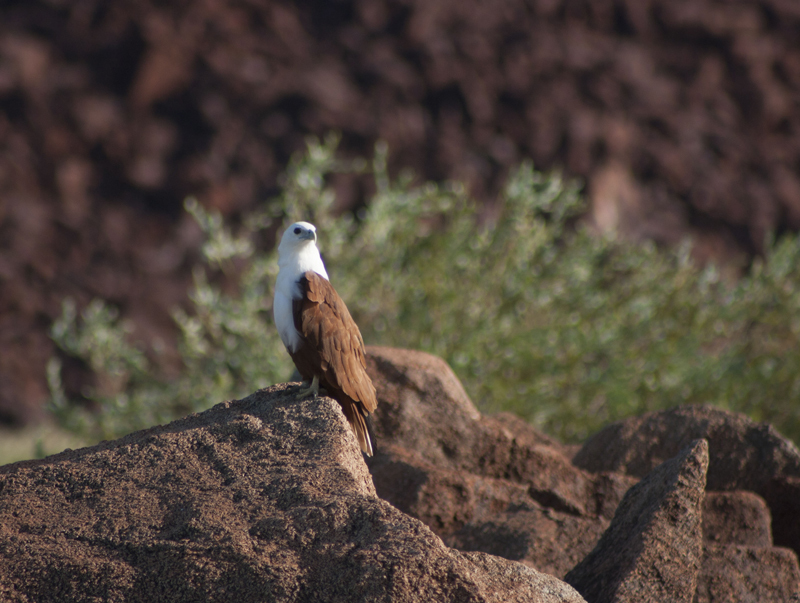 A sea eagle local to the area with a strikingly beautiful coloured chestnut and white body. 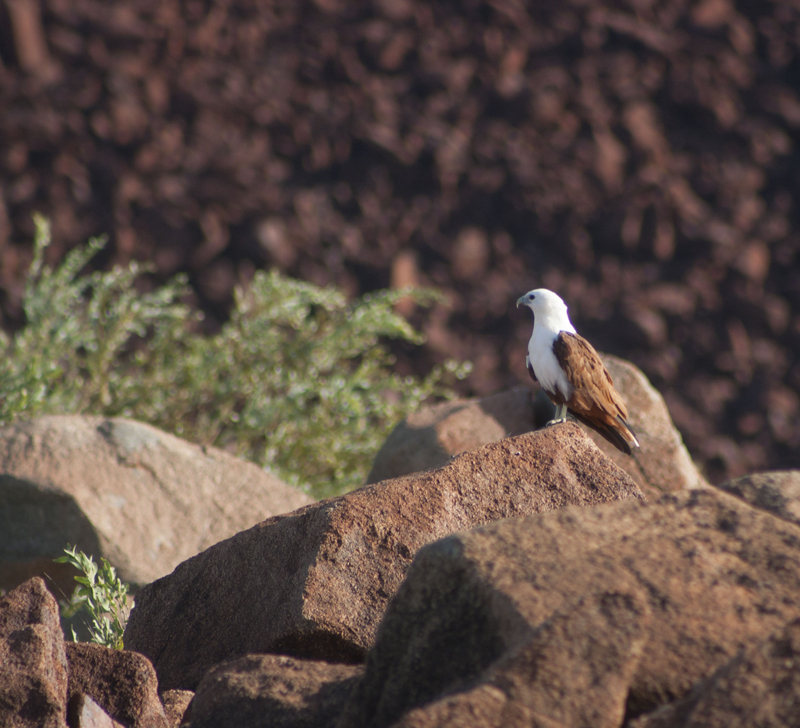 We are in luck today, to be able to photograph one of them only metres away. A curious landscape of national park amid resource projects, where there is a great deal of cultural significance and geological history that has aroused many thoughts from our visit. Deep Gorge is definitely worth a visit from Karratha and hopefully in the future there will be more sights to check out in Murujuga National Park. 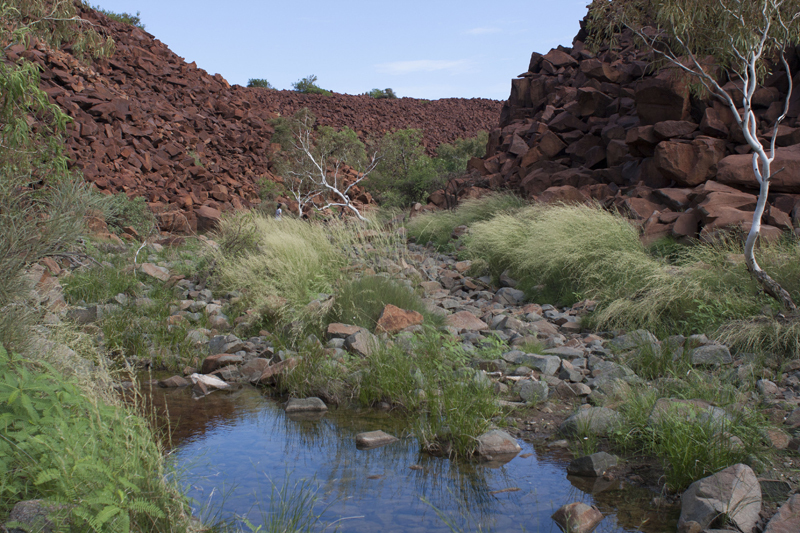 Like any walk in the Pilbara, bring plenty of water and take reasonable steps to protect yourself from the sun and March flies (if they are around). Looks like spectacular country up there. Will have to book in a trip one day. Did you guys drive all the way up there? It sure is and to experience it for the first time as a wa local, wow. We did 3 days driving and overnighted in Kalbarri and then Carnarvon but with the roadhouses and free rest stop grounds along the highway it’s possible to overnight with just the two days of driving. Fantastic change in scenery along the way! That is so cool that it is a natural occurrence.